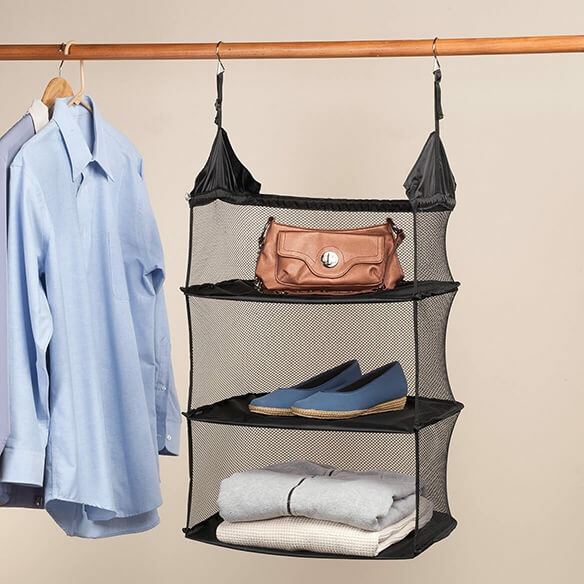 Collapsible hanging closet shelf instantly turns any closet rod into storage shelves! 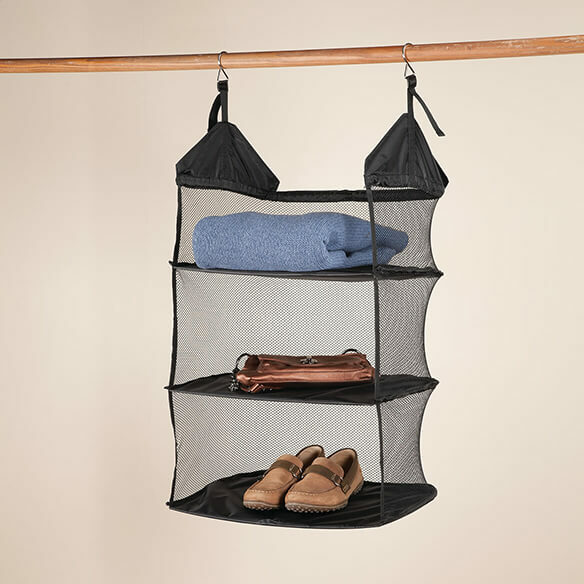 This hanging shelf/organizer is OK though the hooks are too small to fit over my closet rod. It would be fine for attaching to a wire rack, though it does not work over the wood pole at all. It is also too heavy to carry in my suitcase for using on a cruise, which was my primary reason for purchasing it. On the other hand it is very sturdy. Things that I need around the house also for my car.